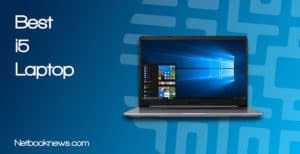 What Should I Expect From A Tough Notebook? 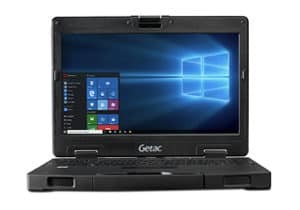 How Can I Get More Protection For May Laptop? What Are The Shortcomings Of A Rugged Laptop? Portability may be the key feature of a laptop, but what about durability? An accidental drop or a spilled cup on the table can completely ruin your expensive computer. 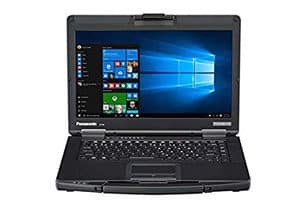 When you need a machine that will make it through rain, snow, or high drops, it’s time to take a look at a different class of notebook. Below we’ve rounded up the five best rugged laptops on the market covering every range of size and specs! For all the power they offer, laptops tend to be surprisingly fragile devices. Throw in dangerous working conditions — or even worse, inquisitive toddlers — and you’ve got a recipe for disaster. To ensure your notebook is still functioning after being dropped or jumped on, a ruggedized machine is the way to go. Finding a tough laptop that won’t break under normal conditions is more difficult than you’d imagine. Not only does the price go up considerably in most cases, but you also have to make major trade offs for enhanced durability. 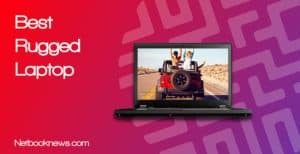 Expect lower specs than other laptops at the same price points. If you want a portable computer with top-shelf hardware and rugged resistance to drops and spills, the price absolutely explodes. With careful weighing of pros and cons between models however, you can find the right laptop to meet your needs and still survive harsh conditions. 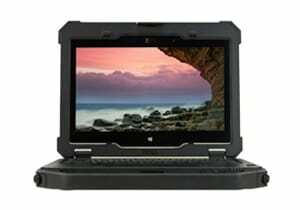 In this year, the clear winner for the most tough laptop is easily the Dell Latitude Rugged 12. With closed door ports, pressure sealed components, and rubber hinges, this thing is indestructible. You further get the enhanced functionality of a touchscreen display. While this is a solid mid-range laptop with decent hardware specs, it can also bend backwards to double as a tablet. Want the absolutely most damage-resistant laptop you can possibly get? This should be your pick! Ever wanted to do your spreadsheets during a forest fire? How about playing Minecraft in a hurricane? Need to keep editing video after accidentally taking your laptop through the car wash? That’s the ludicrous level of ruggedness we’re talking about with Dell’s Extreme series. This is a laptop equally at home in the machine shop as out in the field on location during adverse weather. Pressure sealing and latched doors on the ports prevent any damage from dust, water spray, or sand grit. Between the small screen and flip-over design, you can essentially use this laptop like a tablet. The touchscreen responds even if your hand is in a glove, which puts it a cut above similar devices. There are some downsides, however, starting with the extremely high price. With only 8GB of RAM and onboard graphics, this also isn’t meant for serious gaming or CAD programs. The extreme level of protection and portability are often cited by buyers. 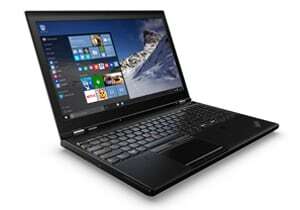 They also tend to mention the weight, as this laptop is a good deal heavier than similar sized models. For a more traditional laptop experience without the touchscreen or backlighting, the Toughbook is the way to go. Most tough laptop models try to mesh ultra portability with tablet features. If you prefer a system without a touchscreen and want more viewing area, this is an excellent model to consider. Overall the hardware specs here are quite similar to the Dell Latitude Rugged, but with a larger screen panel. 14 inches may be on the small side for laptops overall, but in terms of rugged models this is ample viewing space. When reviewing their purchase, buyers mention that the keyboard feels more responsive than other rugged models. There is less protection around the power port however, so keep that section away from spraying water or dust! This is the “Lite” version of the Toughbook line. The Prime and Touchscreen editions jack up the price but offer more features if you want different specs. 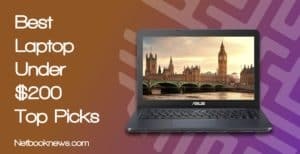 Need a fast laptop that is difficult to damage and has a ton of security features? This should be your pick! 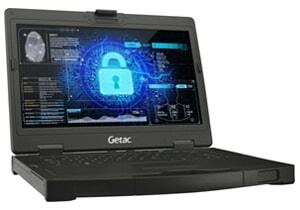 Getac’s offering in our list of contenders isn’t just a tough laptop, it also has security in mind. The lid is built with space for a padlock, so even if someone swipes your computer, they still aren’t going to get it open. The 8th gen processor easily outclasses the other options in this list in terms of raw power. While you get more storage space, unfortunately this model goes with the older HDD design. That means slower boot times than an SSD, but more room for saving files. 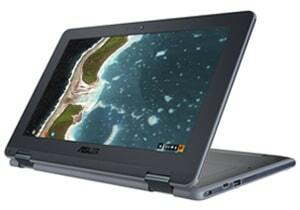 In most other respects the S410 G2 is on par with the tough notebooks listed above at a slightly lower price. Want more features in exchange for a higher price tag? Higher resolution versions with different hard drive specs are also available straight from the manufacturer. For the truly security-obsessed, you can even get a built-in infrared facial recognition scanner. Buyers constantly bring up the dual-battery setup, in addition to the enhanced security features. 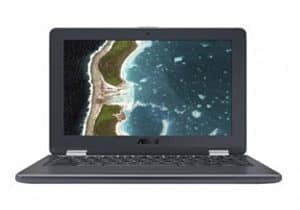 They note that this model is only rated for three foot drops however, which is lower than many other rugged notebooks. If you just need a little extra durability but want specs that are more inline with a traditional laptop, this should be your pick. Based on the specs alone, this system seems head and shoulders above the other contenders listed here. So why have we listed it down so low? This is what’s known as a semi-rugged notebook. 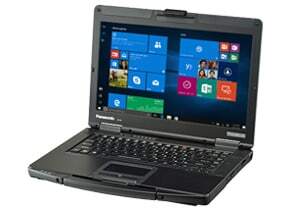 It can’t even begin to compare the toughness of the Panasonic Toughbook or Dell Rugged lines. That being said, this model is still a better option than your typical notebook in terms of durability. The keyboard is specifically designed for spill resistance, while the ThinkPad line has been re-tooled for a heavier construction. This is also one of the very few semi-rugged laptops with a decent dedicated graphics card. You won’t be running AAA games at ultra settings, but you can at least get most games running. For buyers, the key features are the heavy construction and the addition of a fingerprint reader near the touchpad. Want something more like a tablet with the durable nature of a rugged laptop? This should be your pick, especially if you are shopping on a budget! 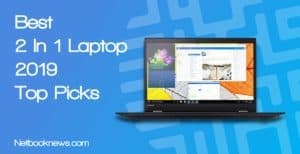 When you need a durable laptop on a budget, the Chromebook should easily be in your list of options. While you have to make concessions on the specs, you still get a very sturdy machine. Water-resistant, scratch-resistant, even fingerprint-resistant: you name it, this little guy can withstand it! As a hybrid device, there are some drawbacks to know ahead of time. First off, there’s no internal SSD or HDD here, just 32GB of flash memory. That means you won’t be storing large files or installing giant programs. If you go this route, be ready to sign up for an online backup service and be restricted to apps only. Buyers rave about the sturdy keyboard, rugged hinges, and extra USB ports, but usually wish it had more RAM to compete with other laptops. Rugged laptops have only one core feature in mind — surviving heavy use in any conditions. Design sacrifices must be made to get the screens, ports, and keyboards as resistant to drops and spills as possible. 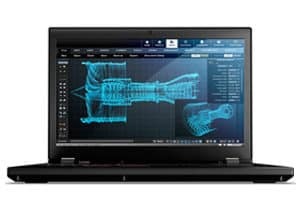 If you want a laptop that’s going to do well in a hot machine shop or cold outdoor conditions, you won’t always get the latest specs. These machines will live through falls and extremes of temperatures, but you usually aren’t going to find features like 4k displays. Cutting edge processors and large amounts of RAM aren’t standard, either. In general, you will have to choose between sturdy hardware or high-end specs, but won’t often find both in the same package. Buying an expensive notebook capable of surviving 120+ degree heat and living through six foot drops is an extreme option. While some job locations require that degree of protection, not everyone needs that level of damage resistance. For Chromebooks or other 2-in-1 laptops that combine a tablet aspect, there are often external cases available. Much like an iPhone case, these offer extra protection against drops and spills at a much lower price. 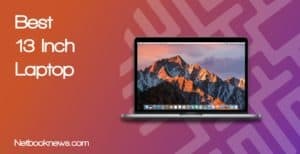 Physical locks, fingerprint locks, and infrared scanners can also frequently be added to standard laptop models for added security. Cases and locks give your device a much longer lifespan for far less money than buying an expensive rugged laptop. Generally these types of machines simply aren’t built with future upgrading in mind. They are purposefully difficult to open so they can’t be ruined by water, dust, etc. The design philosophies of “rugged” and “upgradeable” are working at cross purposes there, so don’t expect to get both at the same time. Likewise, you really aren’t going to find a gaming model that truly deserves the term rugged. Due to the fragile nature of graphics cards and the increased power consumption, gaming and durability don’t go hand in hand. Those issues aside, there are a few caveats to know about with tough laptops before making your purchase. Many of these models use rubberized keyboards that don’t have the same “clack” as typical keys. That makes it easy to miss letters or get accidental typos at first. When buying a rugged laptop, make sure to fully check the specs to ensure they are meeting your needs. For instance, many models are water-resistant, but not fully waterproof. They are usually rated against water spray, but not against full immersion for an extended period. Before ordering an expensive machine, find the specific ratings and certifications on drops, spills, and shock absorption. Whether you need an extreme level of protection or just want a tablet that won’t break with rough use, we’ve got a device for you! These five best rugged laptops will meet your needs for construction sites, outdoor use, or anywhere else. What did you think of our picks, and what’s the sturdiest laptop you’ve found? Let us know in the comments!